An outdoor wood-burning fireplace, a nest in which to seek refuge, enjoying the warmth of the fire: the eccentric dance of the flame slowly becomes the silent glow of embers. A sweet warmth that comforts your guests. 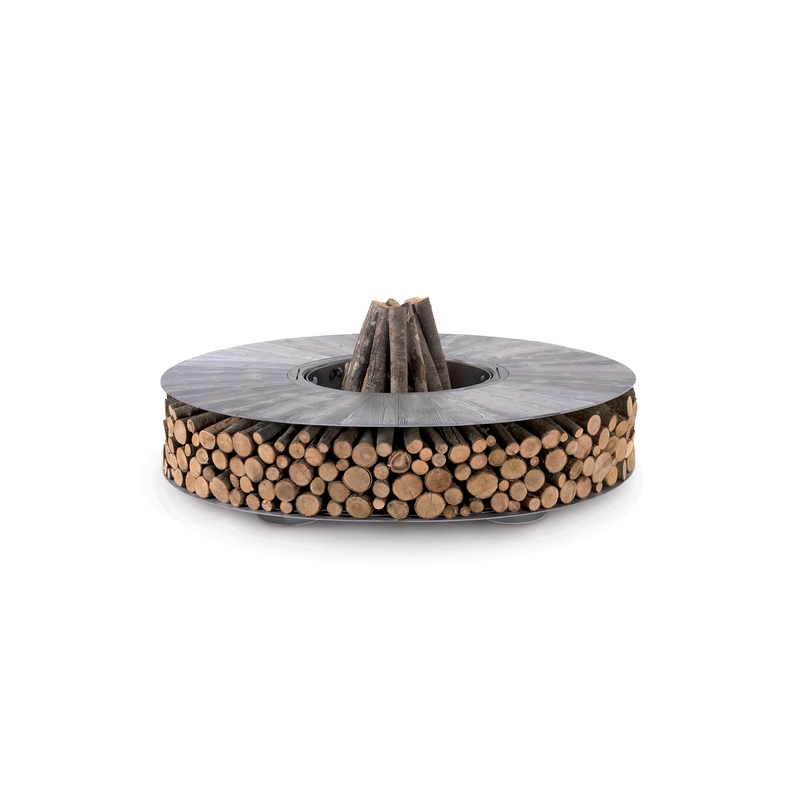 Zero is a wood-burning outdoor fire pit designed for special outdoor moments. Design and art come together, depicting fire with style. 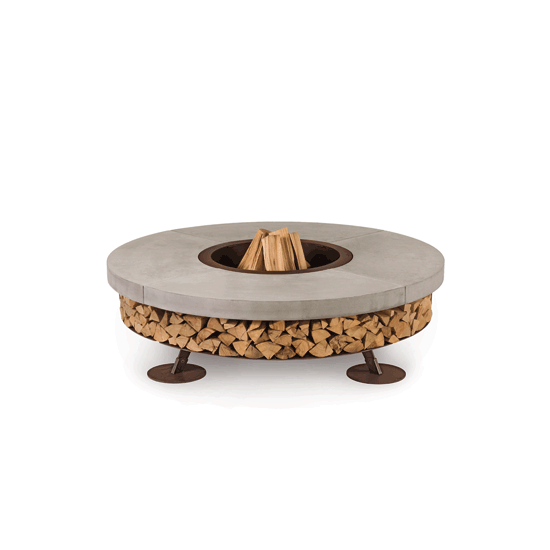 An outdoor fireplace, simple in its shape with a generous and strong character. 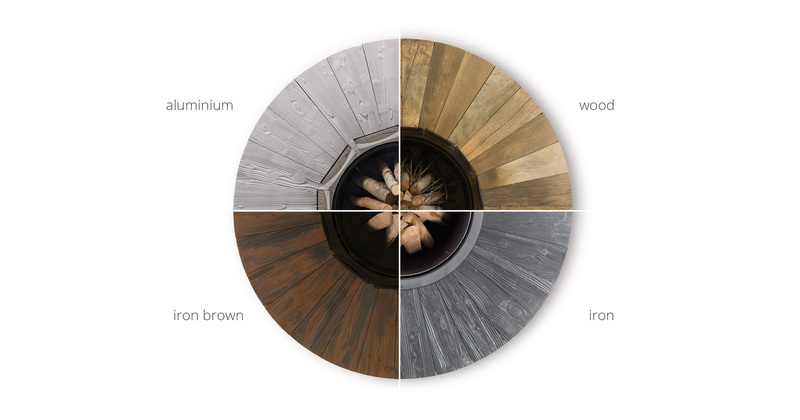 Zero enhances the space that surrounds it, offering strong emotions, warmth and hospitality. A unique object, with a timeless flavour. Supplied with closing top, useful for isolating combustion residue. 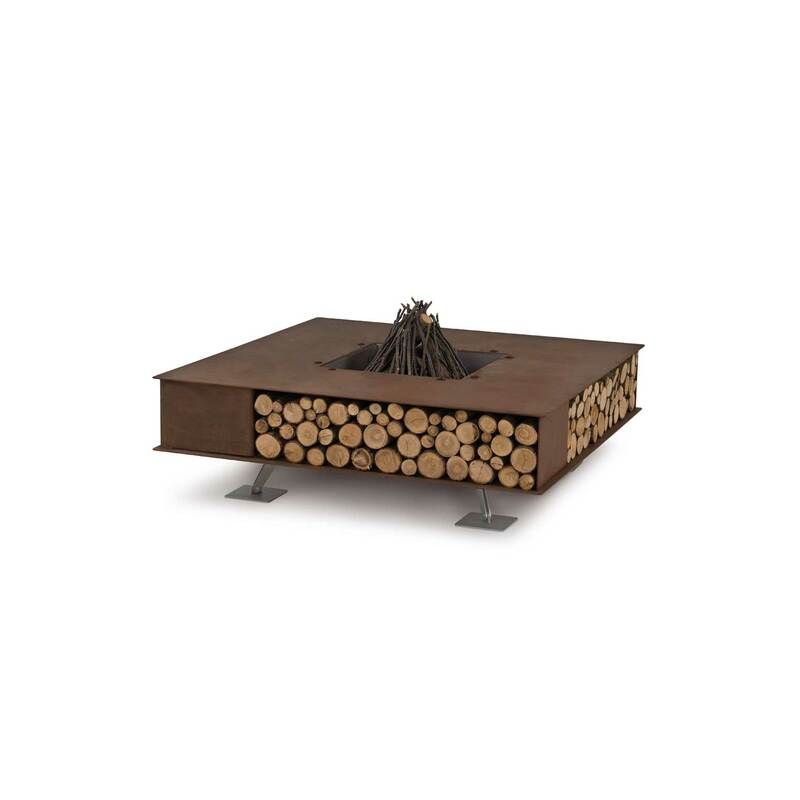 the fire pit can also be used as a barbecue. Accessories, sold separately: Stainless steel barbecue grill, Set of protective glass, Cordura nylon cover. Product supplied in an assembly kit, complete with assembly instructions.